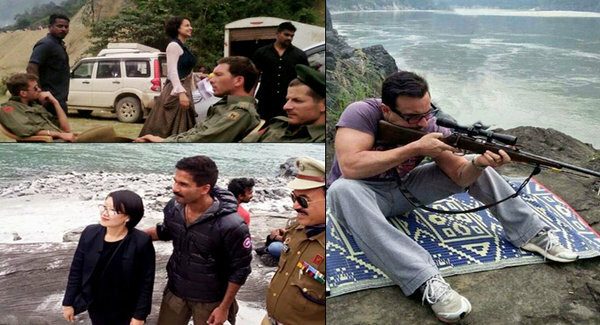 The film's shooting began on 18th November 2015 in Arunachal Pradesh. Many junior artists from Manipur, Arunachal joined the crew for the first shift. In mid January, the film's shooting was halted due to an injury to Shahid Kapoor and Japanese actor. Kangana Ranaut will be traveling to New York City to the research her role and will head to an island in Mexico to learn solo living. A source said, “Shahid has absorbed his character in this film completely and was witnessed undergoing a drastic look transformation which intrigued his fans overall and guessing over which look would the actor don finally.